Check out a rediscovered track from Birds of Maya’s Vol. II called “Which Side Are You On?” that had been “sitting on a dusty shelf in a Kensington basement since its completion in 2006,” which they just shared via Testostertunes! 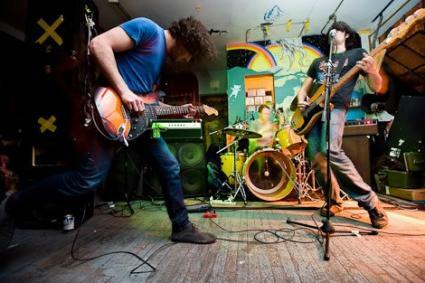 The psych rock power trio will be playing a free show this Sunday upstairs at Kung Fu Necktie with Watery Love. Jamtastic power trio Birds of Maya are coming together tonight to melt faces and make ears ring at Little Berlin. By now, you should know it’s always a treat and a lesson in music exploration when Mike Polizze (guitar), Jason Killinger (bass) and Ben Leaphart (drums) combine forces. 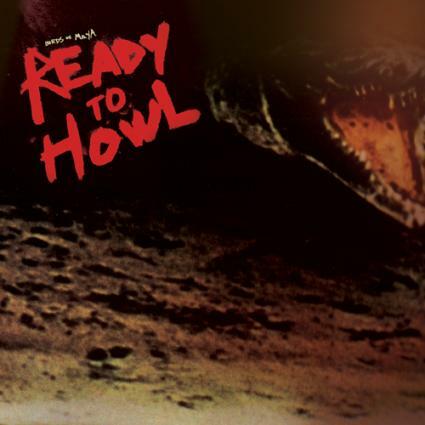 You’ll also have the opportunity to grab their reissue of the soundtrack Ready to Howl (Agitated/Richie Records) on CD (ha…remember that format). Joining them this evening to provide introspective instrumentals will be experimental guitarist Chris Forsyth, who released his latest album Kenzo Deluxe (Northern Spy) this past summer, and psych-folk guitarist Daniel Bachman, who is currently on tour in support of his new record Seven Pines (Tompkins Square). Little Berlin, 2430 Coral St., 7pm, $5 - $7 donation, All Ages - Alexis V.
Birds of Maya’s 2010 Ready to Howl is the soundtrack to a “feature-film of the same name about one dude’s struggles inside (and outside) of polite society.” It will be reissued on CD (which will contain the album’s three original tracks plus two bonus ones from the band’s 2010 Regulation 7” featuring Harmonica Dan) and will be available on September 18. You can take a listen to and download the soundtrack’s title song and opener below. Enjoy! Testostertunes/Richie Records announced today that badass psychedelic blues rockers Birds of Maya’s 2010 Ready to Howl will be reissued via CD/digital on September 18. You can preorder it HERE. The trio will also be performing this Saturday at the Kensington Picnic on Frankford Ave., which has sweet lineup of Deli faves like Meg Baird and Blues Control that you don’t want to miss.